This is basic: your digital applications should require employee logins, and these logins should be updated regularly. This means a monthly (or weekly, depending on the sensitivity of your operations) password reset. Passwords should be either memorized or stored under lock and key. It’s best not to have them anywhere but the mind of the employee, but this isn’t always feasible. If you don’t have log-in parameters, any old custodian could enter your systems and cause havoc. Corporate spying will very likely apply such tactics. The larger your operation is, the more integral this step is with regards to your security. It’s 2017: firewalls are basic security requirements today. Cybercrime as a Service (CaaS) is a multi-billion-dollar industry, and the way such operations work primarily involves a shotgun approach that basically looks for any weakness and exploits it. Hackers follow the path of least resistance. If your business doesn’t have firewalls, you’re ripe for the hacking. If you’re not proactively monitoring operations, you’re leaving yourself wide open for attack. It’s like getting into a boxing ring with your eyes half open— you’re going to get knocked out. Get some security software! IT support firms in Houston can take a look at your operations and help you decide what best fits your business. 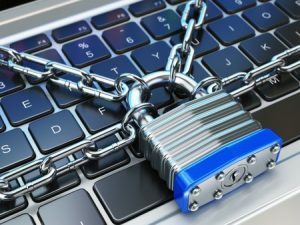 How can your employees know that they must follow certain secure protocols if they haven’t been told as much? It’s not intuitive, and security needs transition consistently. Train your employees. It’s not a matter of “if,” it’s a matter of “when.” If not from human error, you’re going to experience losses pertaining to cybercrime, economic fluctuation, weather, or hardware malfunction. So, backup your systems continuously, and it’s recommendable to do as much through the cloud to decrease downtime. Hackers used to use whistles to hack phone systems. They can’t anymore, because those systems have been upgraded. But if they blow a whistle into a phone in a third-world country and get through, they’re still going to use that technique. Antiquated software leaves you wide open for security compromise. Update as your budget allows you to. IT support in Houston can substantively diminish security risks. In a world where 50% of small businesses are subject to cybercrime attacks, examining your operations to ensure they’re secure is something very integral to operations. Cyber criminals won’t spare you even if you own just a small business. Hackers know that they have a heightened chance of monetary gain by targeting small businesses, as they’re less able to defend themselves. At HoustonTech, we offer security solutions that can help you avoid being targeted for cyberattack, and we can help you recover if you’ve been a victim of one. Contact us for solutions that will secure your operations.